Share the Love and Take Home $200! | Post on Youth Sports. Share the Love and Take Home $200! Share the Love! Enter for Your Chance to Win a $200 Skyhawks Gift Certificate! Valentine’s Day is right around the corner, and we’ll admit it - we love sports! (Shocking, we know). But if there’s one thing we love more, it’s seeing your child at a Skyhawks program nailing a jumper, scoring a goal, or just running around with a huge smile on their face! Since we’re feeling the love this Valentine’s Day season, we’re giving away a $200 Skyhawks gift certificate! Entering is easier than opening up a box of chocolates - just post a photo of your child at a Skyhawks program, tag us, and share it with all of your friends! Instagram - Share your photo with Skyhawks Sports Academy (@SkyhawksSports) tagged and the hashtag #Skyhawkslove. Facebook - Either tag Skyhawks Sports Academy in your photo in a personal post (make sure the privacy is set to public) or share your photo in a post on the official Skyhawks Facebook page (fb.com/SkyhawksSportsAcademy). 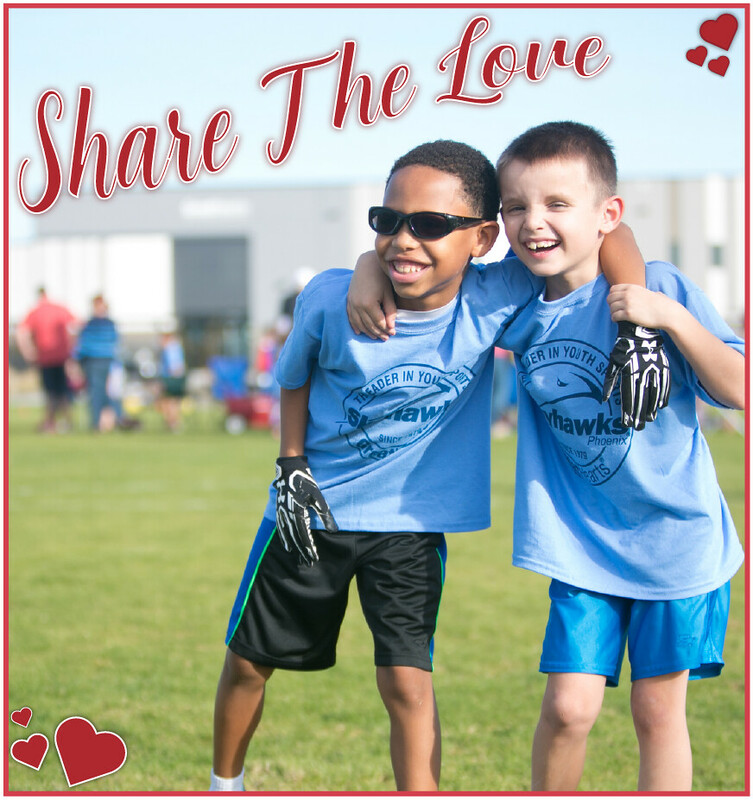 Twitter - Tweet your photo with Skyhawks Sports Academy (@SkyhawksSports) tagged and the hashtag #Skyhawkslove. Enter as many times as you like, just make sure you’re sharing each photo only once and tagging Skyhawks in each one! The winner of the contest will be announced on Valentine’s Day. WE'VE EXTENDED THE GIVEAWAY! We've gotten a ton of great entries and we want to see more! You now have until Tuesday, February 19th the enter you photos via Instagram, Twitter, or Facebook! Let's see those #SkyhawksLove pics!